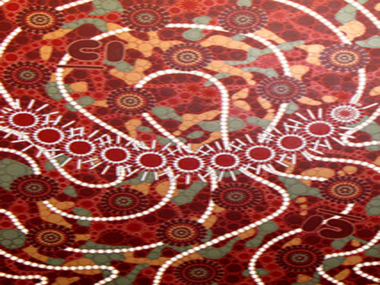 WALANGARI KARNTAWARRA "SONGLINES" at News Aboriginal Art Directory. 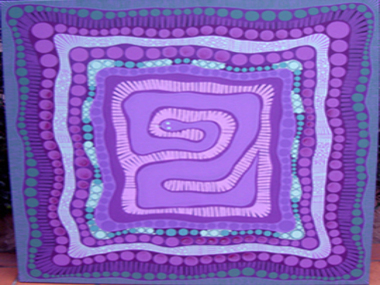 View information about WALANGARI KARNTAWARRA "SONGLINES"
"The Dreamtime manifests itself in an infinite number of ways and for thousands of years we, Australian Aboriginal people have used it as a means of communication, primarily through Songlines" says international award winning, central desert artist, Walangari Karntawarra, on the invitation to his latest solo exhibition. Hosted by Sydney's Soho Galleries, the exhibition runs from 23 August to 23 September.